How do I apply for a small dollar loan? The Community Loan Center of the Brazos Valley offers Affordable Small Dollar Loans to eligible employees of enrolled employers. Click on the ‘Apply Now’ button below. You will then be directed to the loan application page. Please read the license agreement and mark the box on the lower left side of the page that you agree with the terms and conditions and then select ‘Start My Application’ on the lower right side. To apply for a loan, you will need to provide your employment information, SSN, Identification numbers, your salary information, four references and their contact information, and a valid checking account number. Below you will find a few frequently asked questions about applying for a loan through the Community Loan Center of the Brazos Valley. To few more frequently asked questions, click here. The Community Loan Center of Texas offers Affordable Small Dollar Loans to eligible employees of enrolled employers. 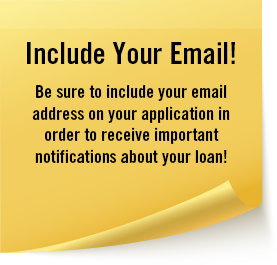 You can find the loan application on our website at http://www.clcbv.org. At this website, please select the option, ‘Apply Here’. You will then be directed to the loan application page. Please read the license agreement and mark the box on the lower left side of the page that you agree with the terms and conditions and then select ‘Start My Application’ on the lower right side. To apply for a loan, you will need to provide your employment information, SSN, Identification numbers, your salary information, four references and their contact information, and a valid checking account number. Is there a Spanish language website? Yes, when you apply for the loan you will have the opportunity to select Spanish language by selecting ‘Espanol’ in the upper right hand corner of the first page. How much money may I borrow? You may borrow up to ½ of your gross monthly income not to exceed $1,000. Is there a loan fee? If so how is that paid? In addition to the 18% interest on the loan, a $20 administrative fee is required to process your application. This fee is included in your loan amount and repaid over the course of your loan term. After I submit the loan application, how do I check the status of my loan application? After applying for a CLC loan, you may check the status of your loan application by returning to the www.clcbv.org website and select the link, ‘LOAN STATUS’ in the upper right hand corner of the loan application. When you select ‘LOAN STATUS’ you will be asked to enter your Social Security number and you must include a dash in between your Social Security Number, i.e. 123-45-6789. If your employment has not yet been verified by your employer, the website will ask you to check back later. How will I know if my loan has been approved? After your employer verifies your income and employment information, you will receive an email message prompt to return to the website at www.clcbv.org to sign your loan documents. You may also recheck your Loan Status on the system after your employment has been verified and your loan documents will appear on the system for you to sign electronically. Once the loan documents are signed, your status will no longer appear on this page. If the information you provide on the loan application is correct and complete and if you are an employee that is eligible to apply for a loan, your loan application will be approved after your employment has been verified. Please read these loan documents carefully and then electronically sign the loan documents on the website and your loan proceeds will then be transferred into your checking account typically by the end of the following business day. When you open the loan documents, you will be able to review the loan details, including annual percentage rate, finance charge, and total payments. All required disclosures are provided as part of the loan documentation. A Spanish version of the loan agreement is available as well. After you have signed and submitted all signatures electronically, your loan will have been completed and the funds will be set to be deposited into the bank account you have provided us with on your loan application. Click here to access a complete list of our frequently asked questions. Still have a question? Contact us today! Learn more about the Community Loan Center of the Brazos Valley using the links below. Contact us for more information about our loan programs for Employers and Employees.